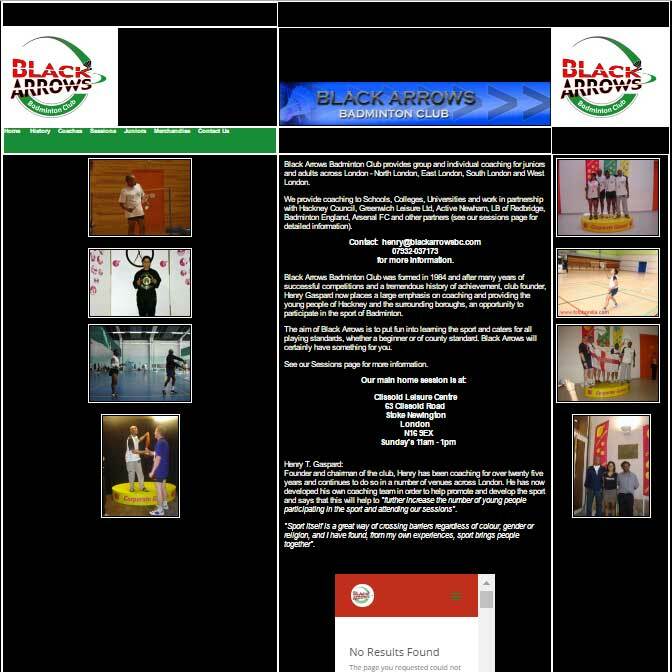 Black Arrows Badminton Club was formed in 2000 and after many years of successful competitions and a tremendous history, club founder, Henry Gaspard now places a large emphasis on coaching and providing the young people of Hackney an opportunity to participate in the sport of Badminton. 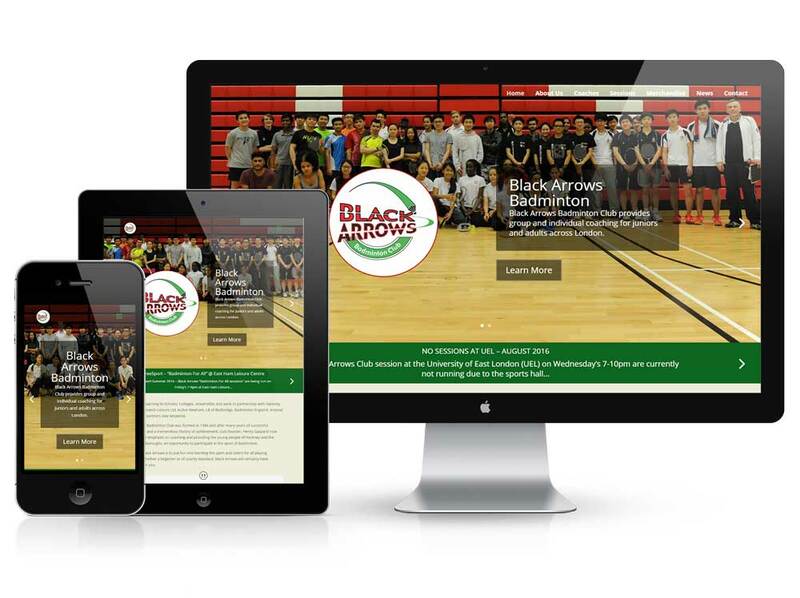 Black Arrows Badminton Club needed a new website. Their old one was old, fixed-width and static . 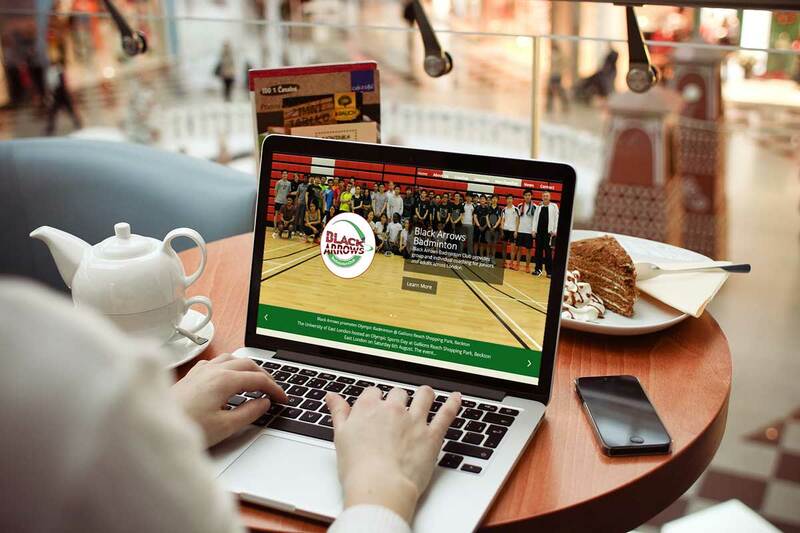 The club needed a site that could showcase all their great work across London. Would be Search Engine optimised. 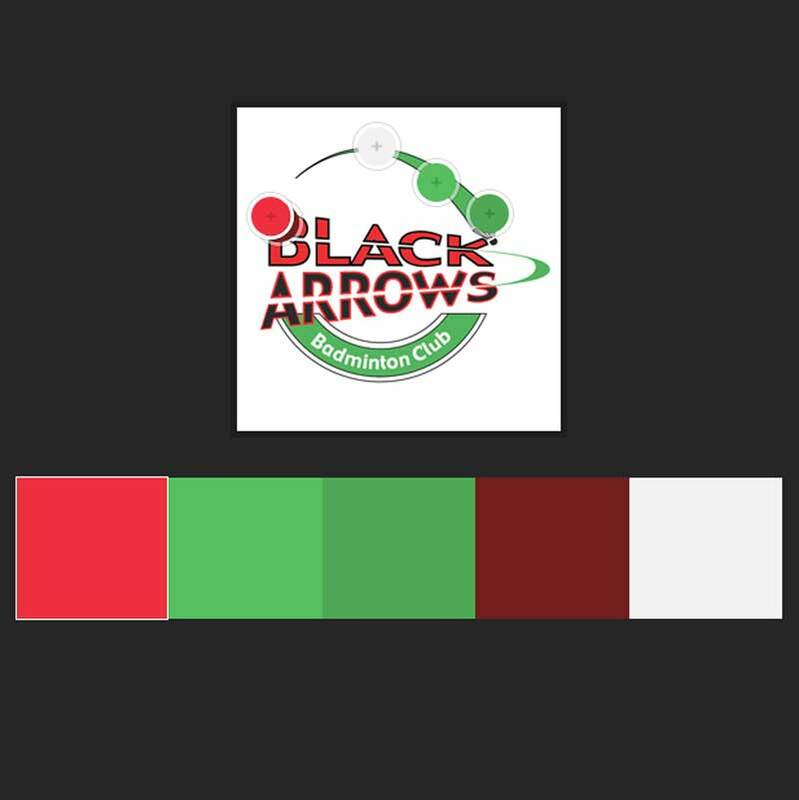 We created a new website with a colour scheme generated from the Black Arrows logo. 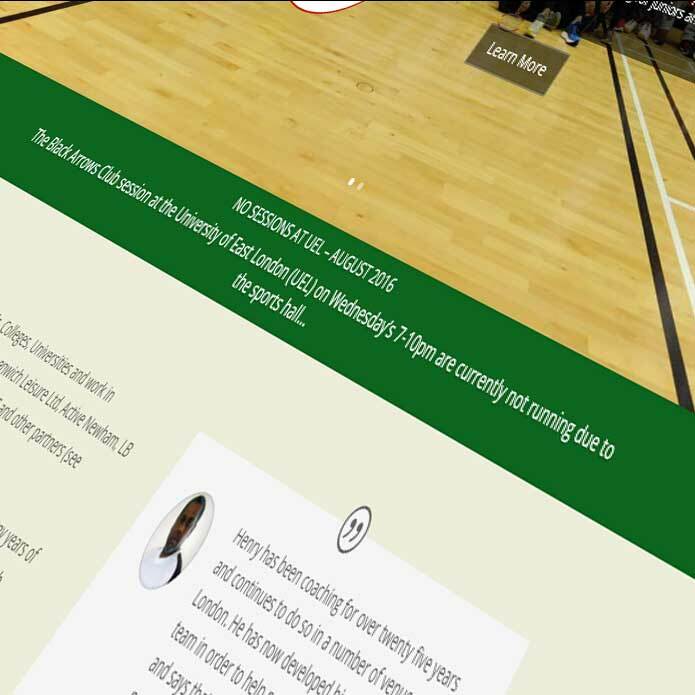 The new site is responsive and will look great on any device. 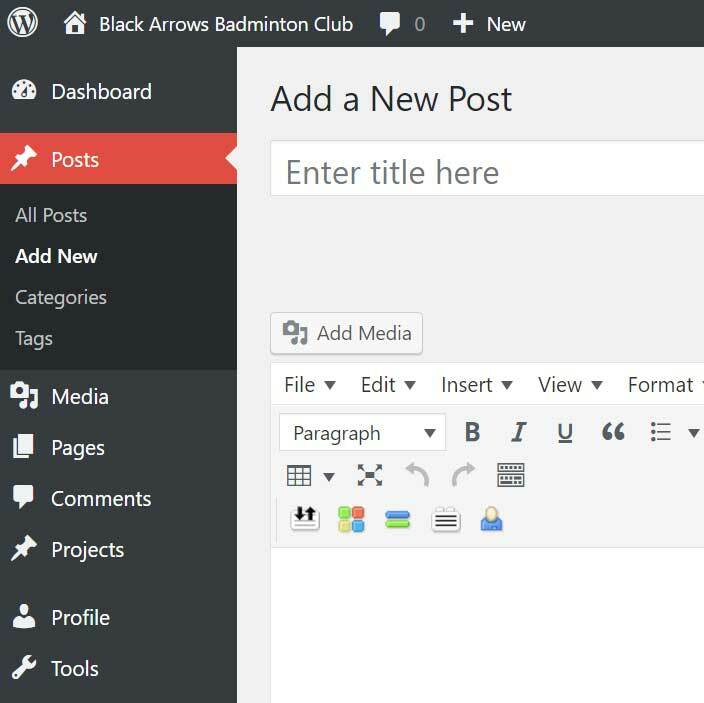 The Black Arrows Team can post new information on a “News” page, and these posts automatically show on other parts of the site, like the homepage.